Take the guesswork out of some of the most confusing aspects of your homeowners policy. Insuring a house is a must for any homeowner. Guaranteeing that your home is protected against every possible risk can be difficult, however, particularly for property owners who don’t properly evaluate their homeowners coverage. Let’s face it — your home insurance policy can be confusing. 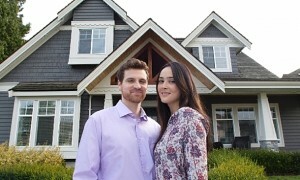 If you fail to understand the ins and outs of your policy, you might struggle to get the right coverage for your home. Actual cash value (ACV) refers to the value of your home and possessions at the time that they are lost or stolen. If your homeowners coverage states that you’ll receive the ACV for your home or belongings, depreciation will be factored into the total amount that your insurer pays for your claim. Thus, if a roof that was predicted to last 30 years is destroyed 15 years after installation, you might only receive about half of its initial cost due to depreciation. The replacement cost represents the total cost to replace items that have been damaged, destroyed or stolen. For instance, if your clothing is destroyed in a home fire, your insurance company will cover the costs to replace your clothing. An insurer usually will pay out a replacement claim in two installments. First, the company may provide you with a payment for the ACV of the claim, or a certain percentage of the replacement cost. You then will need to submit a receipt or other documentation to verify that you have completed repairs or purchased a replacement to receive the remaining claim amount. In most instances, the replacement cost will exceed the ACV. Or, if you choose an ACV policy, you may be able to save money on your home insurance. 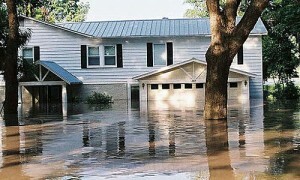 A flood represents an accumulation of water due to a rain storm, hurricane or other natural disasters and is not covered by a standard home insurance policy. Comparatively, a home water leak due to a pipe burst is not a flood and will often be covered by your homeowners insurance. Flood insurance is advisable for homeowners who live in high-risk areas, but it’s also recommended for homeowners in low-to-moderate risk areas as well. Even 1 inch of water from a hurricane or heavy rain can cause significant home damage. As such, if you purchase flood insurance to supplement your homeowners policy, you’ll be consistently protected against flooding. Your home insurance should cover the total replacement cost of your house, which includes both the cost of your house and the cost to rebuild your residence if it is destroyed. This means the total value of your home could exceed the original cost of your house. If your home is destroyed in a natural disaster, you’ll need to account for the costs associated with materials, labor and other resources to rebuild your property. As a result, your home insurance policy should cover the total replacement cost of your home to ensure that you’ll be able to replace your residence after a disaster. An insurer typically will not cover the full cost of damage to your home if you neglect to purchase home insurance that equals 80 percent of your house’s value. Therefore, understanding the “80 percent rule” is key to getting the necessary coverage to protect your residence and belongings. To better understand the 80 percent rule, let’s consider an example. 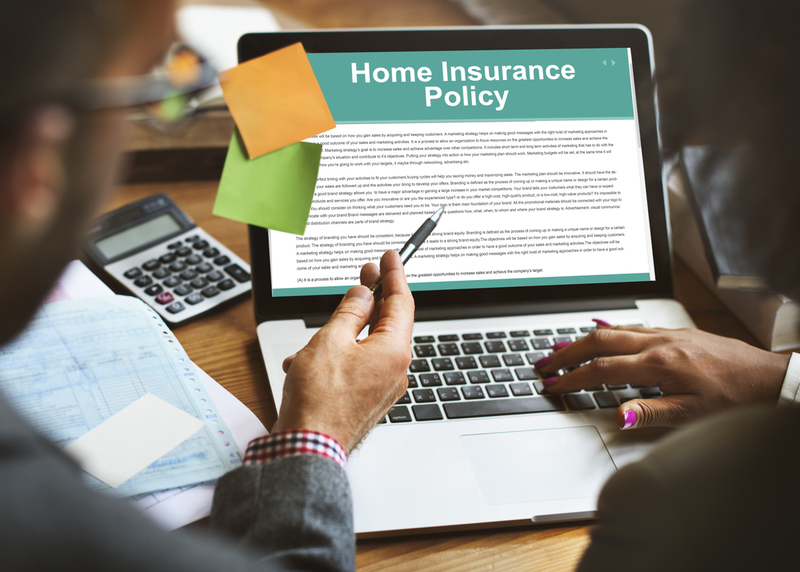 According to the 80 percent rule, an individual who owns a home with a replacement cost of $300,000 will need at least $240,000 in home insurance coverage. If this homeowner suffers $150,000 in fire damage but only insures a property for $220,000, he or she will not be fully covered for losses. In the example given, the insurer would pay out $137,505 — approximately 91.67 percent of the claim amount — to cover the fire damage. This total represents a percentage that equals the total coverage that the homeowner purchased ($220,000) divided by the insurer’s 80 percent requirement amount ($240,000). A standard homeowners policy will typically provide personal liability coverage up to $300,000 per accident. It also is important to note that liability costs can exceed your coverage amount, and umbrella policies are available to deliver extra liability insurance. An umbrella policy offers additional coverage against injuries, property damage and various personal liability situations. It may even cover your legal costs for defense if you face a personal liability lawsuit. Dedicating the necessary time and resources to evaluating your home insurance can deliver long-lasting benefits. Ultimately, with the right home insurance in place, you’ll be protected against numerous risks both now and in the future.